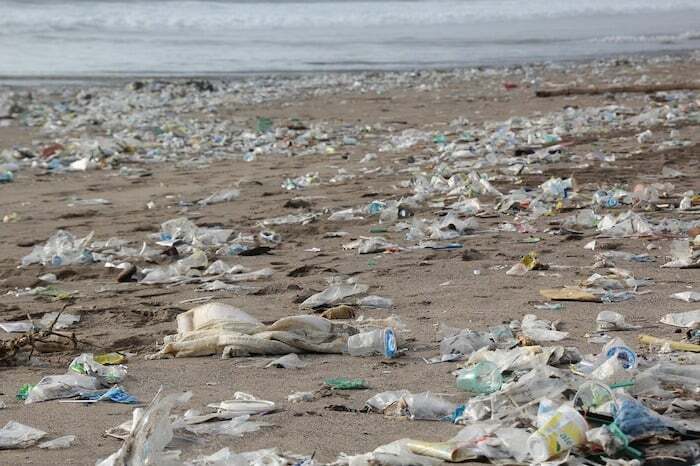 Given that plastic beverage bottles take 450-1000 years to decompose and plastic bags take approximately 1000 years, it is no surprise to hear the largest area of plastic debris in the ocean is estimated to be around 10 million Km2 in size. The problem with plastic isn’t just about littering the ocean. Up to 90% of all seabird species have plastic in their stomachs and it is well-known that plastics are fatal to marine life that consume them. The news isn’t all bad though and the plastic problem CAN be solved with new technologies and social change. There are some great initiatives out there working to clean up the ocean and the theme for this year’s World Environment Day and World Oceans Day is preventing and solving plastic pollution. Huge amounts of plastics and litter worldwide are being washed onto beaches from the Oceans. How are liveaboard fleets reducing plastic pollution? 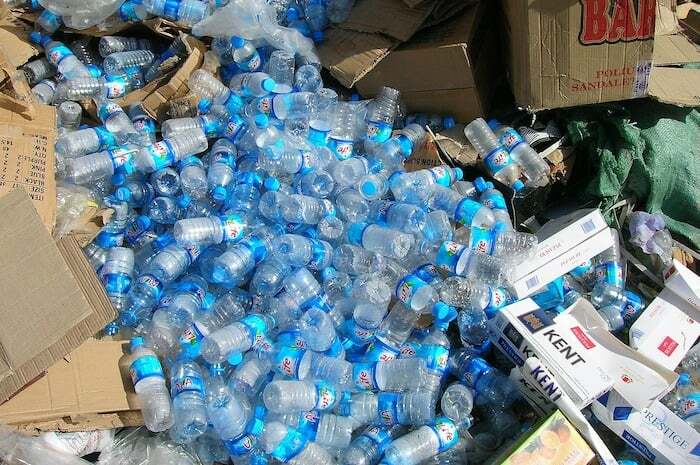 Blue O Two have banned single-use plastic water bottles from their Red Sea fleet vessels, as of 7th May 2018. What Can Divers Do To Reduce Plastic Pollution? We encourage all divers to follow the great example being set by the Worldwide Dive and Sail Fleet by bringing their own personal reusable water bottle for their holidays and purchase a reusable metal or bamboo drinking straw if required. There are plenty of ways to reduce plastic waste at home as well and those looking to reduce their waste at home should be inspired by Erin Rhoads, The Rogue Ginger. This graphic designer from Melbourne, gave up plastic in 2013 after realizing the damaging impact it has upon the environment and human health. By being prepared to say no to disposable products and considering the life cycle of items prior to purchasing them, she has eliminated almost all waste from her household. In the two years following her decision to go plastic-free, Erin had filled only one jar with rubbish items and had not needed to use a household rubbish bin. Erin also ensures she supports local businesses, eats in season and educates others about sustainable living. What Other Great Initiatives Are Solving Plastic Pollution? There are various products available today as alternatives to single-use cutlery made from virgin plastic and Narayana Peesapaty in India has taken these advances one step further and created Bakeys Edible Cutlery. This company produces edible cutlery from sorghum flour and water, with no additional chemicals or preservatives. They are 100% natural, designed to be eaten after use and, if not consumed, will decompose within 3-7 days. Gluten-free recipes can be requested, as can additional ingredients (including spices and vegetables). It is hoped the market for these products could help Indian farmers to move away from rice farming, which uses 60 times more water than sorghum. In an effort to combat the widespread production of plastic water bottles and consumption of bottled water that often contains contaminants, a product design student from the Icelandic Academy of Arts has created a biodegradable water bottle. Ari Jónsson has created an entirely natural bottle that holds its shape whilst full of water and yet rapidly decomposes once empty. The design combines red algae powder with water and the water within the bottle is also safe to drink. Single use plastic bottles/packaging have a massive impact on the health of our environment.